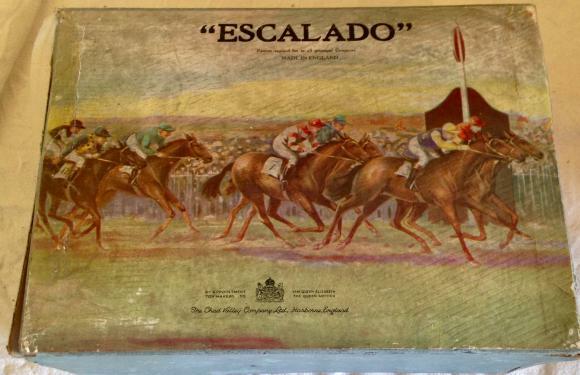 The classic race horsing game by Chad Valley called Escalado. This edition dates from the early 1950s. Turn the handle and watch the lead horses run down the track. 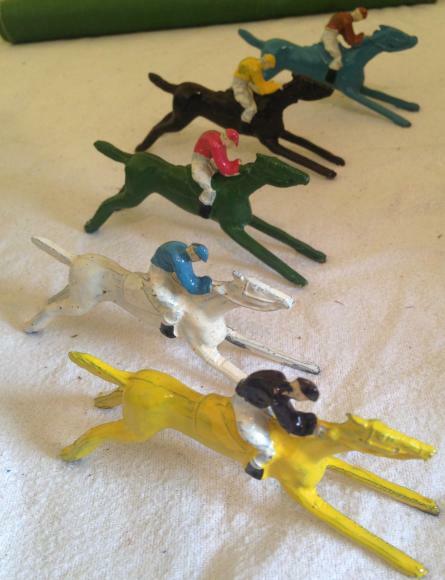 The track and horses are all in an excellent undamaged condition. The full instructions are on the underside of the lid. 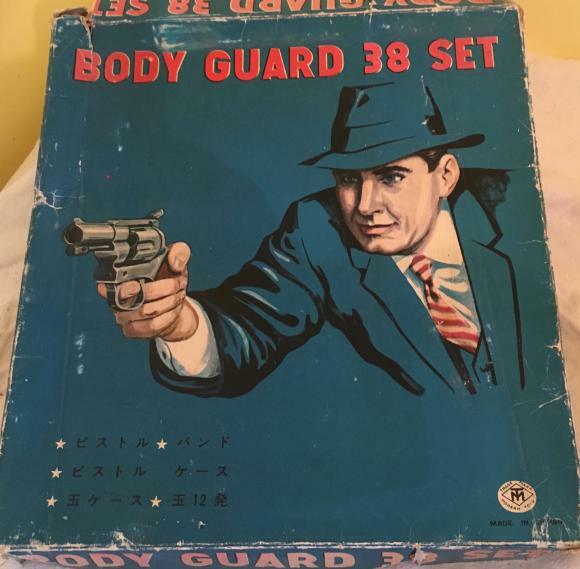 A wonderful boxed toy gun set from the late 1950s which was made in Japan. Its called the Bodyguard 38 and comes with a die cast .38 revolver, bullets, belt, bullet pouch and Marshall tin badge. It looks unused but may have 1 bullet missing. contents are excellent, the box is a bit worn. A superb early Lesney A Moko Car Transporter , set no 3 which comes in its original box. The model is excellent ( just needs a wash) . 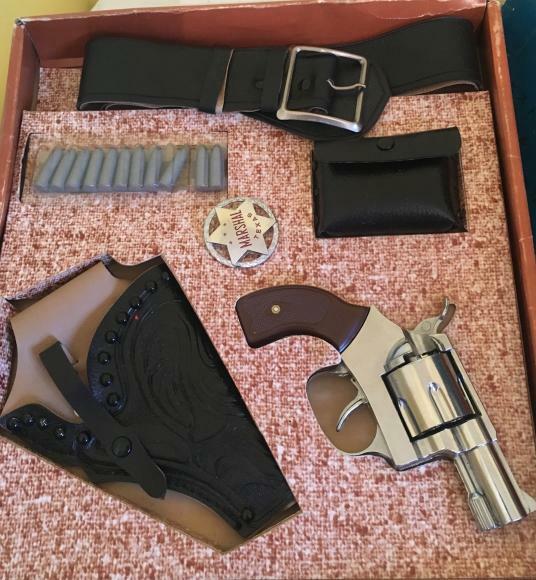 The box is complete with all tabs but is a bit worn on the ends. This one is of a Spitfire. A prewar construction set by Marklin of Germany which is almost identical to Meccano. This is set no 2a and appears very near complete. The box lid is a bit worn but the contents are excellent. In a superb working condition, this is a vintage portable typewriter which comes in its case. This is the Brother Deluxe 1350 model. The zip on the case still works and included are the full instructions as well as a pile of paper etc. From the days before computers and word processors. Please note that it weighs over 5kg. A vintage boxed set of 4 x 4" diameter aluminium flan tins by Tala. They are all ready to be used. 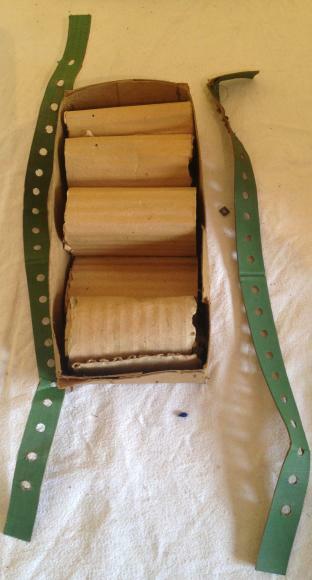 A pair of vintage plastic childs roller skates which come in their box. Called Zippee, they look unused. The box is good and displays well. A scarce early edition garage by Lesney which comes in its box. Its missing the Esso sign but otherwise in excellent condition. The box is worn but complete and has a few scribbles on one side only. 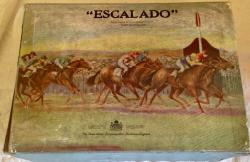 rare 1920s dog derby greyhound racing game. A very scarce early dog racing game called Dog Derby. The game looks unused and comes with 4 lead dogs, the playing mat, betting slips etc and has the full instructions on the underside of the lid. The contents are all excellent. The box is very good with the undamaged paper label on the lid.